Auto Spa 10" Random Orbital Polisher with Bonus Bonnets | BUDK.com - Knives & Swords At The Lowest Prices! Polish that sweet ride until it gleams so brightly you'll need sunglasses just to look at it! 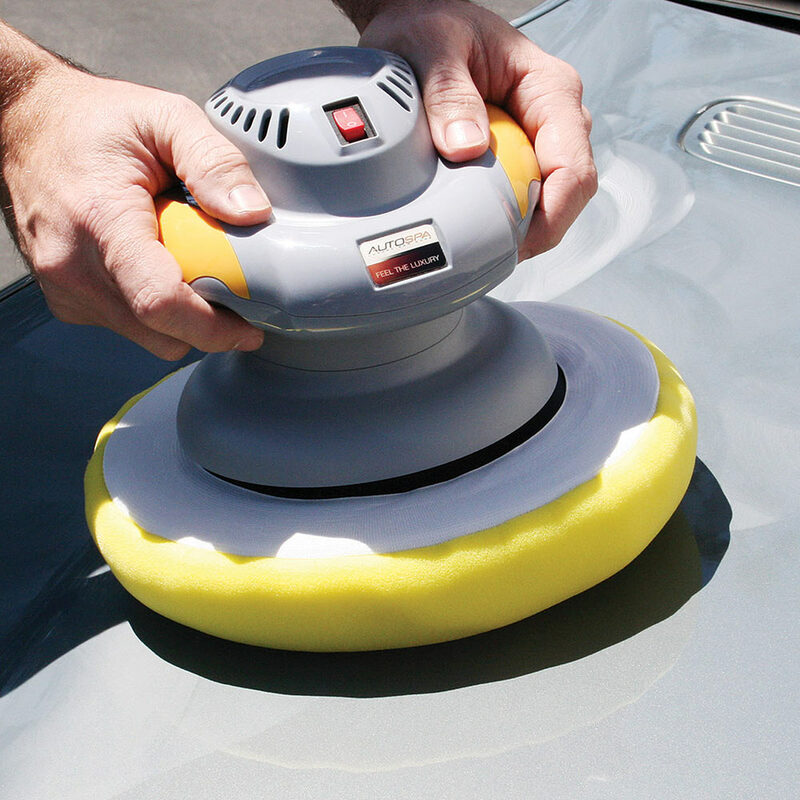 With the Auto Spa 10" Random Orbital Polisher it's easy! 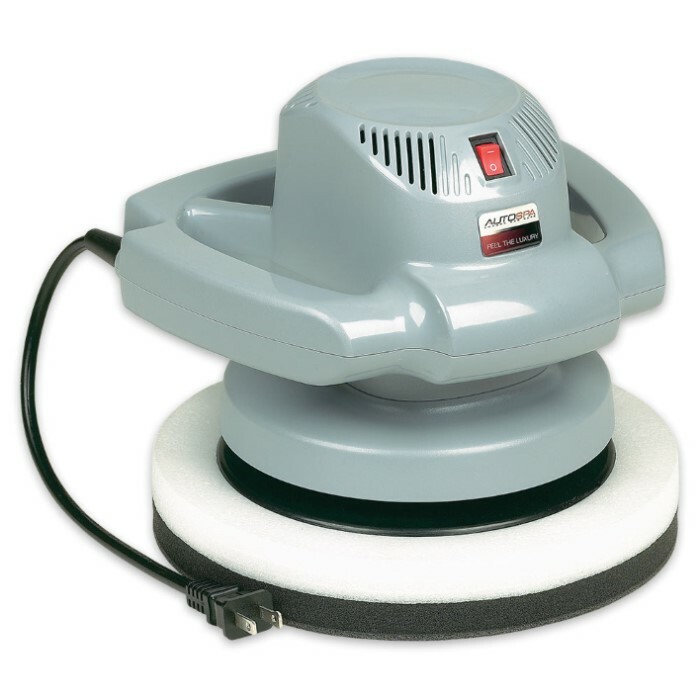 It features a heavy duty 3600 rpm 120v motor for quicker, better polishing and a three-layer foam pad with moisture barrier for smoother application. The integrated "multi-grip" grip assist extends your reach and reduces fatigue. Apply your favorite wax or polishing compound with the included foam applicator bonnet and buff out unsightly smudges and scratches with the included microfiber removal bonnet. 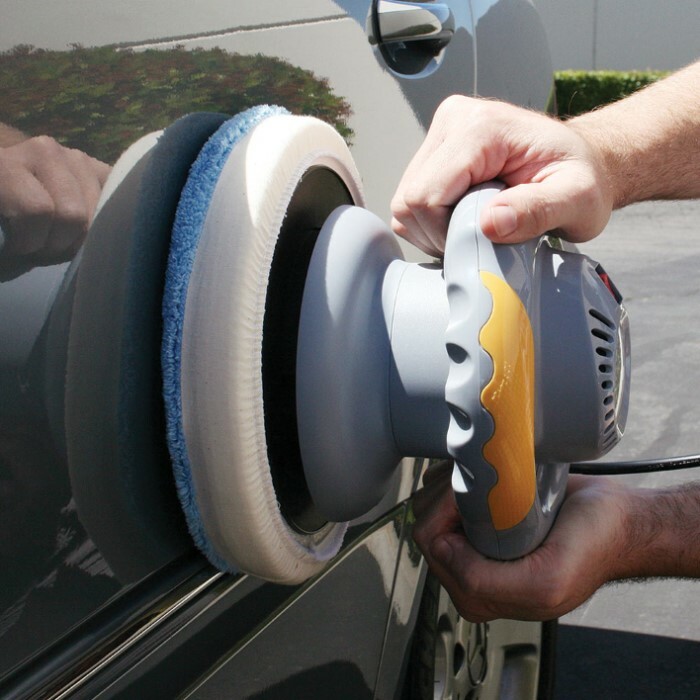 Try Auto Spa 10" Random Orbital Polisher once, and you'll wonder how you ever polished your pride and joy by hand!